Christina Bradic, Policy Communications Manager, World Vision U.S.
Harry Bader is the acting executive director of the U.S. Global Development Lab, where he oversees the Lab and its operations. Prior to joining the Lab, Bader was a professor of environmental and polar security studies at the University of Alaska Fairbanks. He has also worked as the Arctic Region Manager for the Alaska State Department of Natural Resources, where he supervised the conservation, development, and protection of oil, mineral, timber, wildlife, water, and wilderness resources. Bader, who has a JD from Harvard University and is completing a doctorate at the Yale University School of Forestry, has worked on humanitarian and natural resource management projects in more than a dozen countries. From 2009-2011 he served with USAID in the Office of Civilian Response. He is the recipient of the USAID 2011 Award for Heroism related to actions while co-leading the Natural Resources Counterinsurgency Cell in eastern Afghanistan. 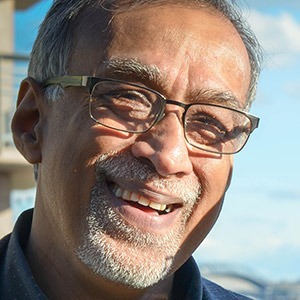 Akhtar Badshah is a seasoned executive with over 30 years of experience in international development, managing a corporate philanthropic program and co-founding a global nonprofit for social enterprise. Badshah currently teaches at the University of Washington at the School of Business, Bothell campus and at the Evans School of Public Policy and Governance. He is the founder and curator of Accelerating Social Transformation, a mid-career professional development certificate course on social impact. His expertise is in social innovation, social entrepreneurship, global business, corporate social responsibility, information technology for development (ICT4D), nonprofit development, and creating opportunities for youth. Badshah has experience in creating a vision and then executing on it. He has built global programs with diverse teams, based on the conviction that programs need to be effectively global and appropriately local. Badshah has worked effectively with various stakeholders from government, business, and nonprofit leaders, to academics, to ordinary citizens. His approach is to set the vision, provide direction, engage stakeholders and develop effective partnerships. He has traveled extensively around the world, has experience working on global programs, and works comfortably in any socio-economic and culturally diverse environment. Badshah has authored Our Urban Future: New Paradigms for Equity and Sustainability, co-authored Technology at the Margins – How IT Meets the Need of Emerging Markets, and co-edited Connected for Development – Information Kiosks for Sustainability. He has also published numerous articles in international journals on CSR, ICT4D, megacities and sustainability, housing, and urban development. Badshah has also taught architecture and urban development at the Massachusetts Institute of Technology, as well as lectured at numerous universities around the world. He is an acclaimed international speaker on issues of social innovation, sustainable development and global philanthropy. Badshah has extensive experience serving on numerous boards. He is currently the president & chair of the board for Global Washington. 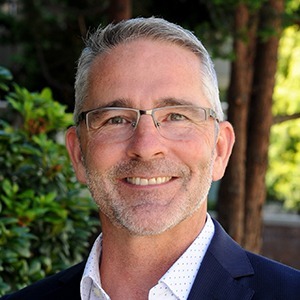 He is also the incoming chair of the board for Bellevue LifeSpring, and serves on the board for the Microsoft Alumni Network and Jolkona; and also serves on the advisory board of the U.S. Chamber’s Corporate Citizenship Center. He has served as the vice chairman of the board of the Council on Foundations, the chairman of the Telecentre.org Foundation, and a board member of Youth Empowerment and Sustainability. Badshah is a doctoral graduate of MIT. He and his family are very active in the Seattle community. Ana Mari Cauce is the president of one of the world’s great public research universities. As such, she leads the University of Washington in advancing its mission in four key areas: providing a leading-edge student experience, conducting research and scholarship with global impact, honoring its public mission, and promoting innovation across the University. As part of her commitment to innovation, President Cauce announced the launch of the Global Innovation Exchange (GIX) in June 2015. A global partnership between major research universities and innovative corporations, GIX will educate the next generation of innovators through a unique project-based, globally-focused curriculum. The first two academic partners are Tsinghua University and the University of Washington, with early support from Microsoft Corporation. 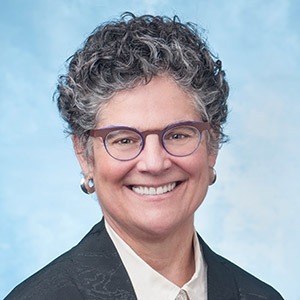 A member of the University of Washington faculty since 1986, she advanced through the university ranks, serving as provost and executive vice president before the Board of Regents named her president in October 2015. She has received numerous awards for her teaching, scholarship and advocacy, including the James M. Jones Lifetime Achievement Award of the American Psychological Association, and the University of Washington Distinguished Teaching Award, the highest honor the University awards to faculty members for their work with students. President Cauce is a professor of psychology and American ethnic studies with secondary appointments in the Department of Gender, Women and Sexuality Studies and the College of Education. She maintains an active research program, focusing on adolescent development with a special emphasis on at-risk youth. She also remains active in the classroom and continues to teach and mentor undergraduate and graduate students. 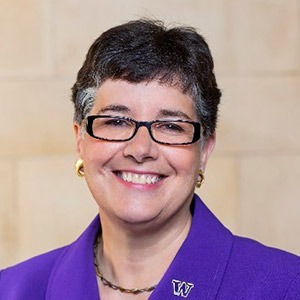 Throughout her career, President Cauce has championed access to higher education for low-income and underrepresented minority students, and in 2015 she launched the UW Race & Equity Initiative to create a more diverse, inclusive and equitable university community. Raised in Miami after emigrating with her family from Cuba, President Cauce earned degrees in English and psychology from the University of Miami, and a Ph.D. in psychology, with a concentration in child clinical and community psychology, from Yale University. Dr. Carol Dahl is the executive director of the Lemelson Foundation and leads the foundation’s work to use the power of invention to improve lives. The foundation inspires and enables the next generation of inventors and invention-based enterprises to promote economic growth and address critical challenges in the U.S., and to help solve social and economic problems for the poorest populations in developing countries. The foundation focuses on supporting Impact Inventing, targeting inventions that have positive social impact, reflect environmental responsibility and result in the creation of products and businesses that are financially self-sustaining. Prior to joining the foundation in July 2011, Dahl worked for the Bill & Melinda Gates Foundation in various roles, including founding director of the Global Health Discovery Program and chief of staff for the Global Health Program. During her tenure at the Gates Foundation, Dahl built the platform discovery innovation programs Grand Challenges in Global Health and Grand Challenges Explorations. Previously, Dahl worked at a start-up diagnostics company, leading partnerships, and at the U.S. National Institutes of Health (NIH) in several capacities, including director of technology and industry relations at the National Cancer Institute, and program director at the National Center for Human Genome Research. While at the NIH, Dahl supported the development of the biotechnology portfolio of the Advanced Technology Program of the National Institutes of Standards and Technology, and partnerships with NASA and the Defense Advanced Research Projects Agency (DARPA). Dahl received a bachelor’s degree from the University of Iowa, master’s and doctoral degrees from the University of Wisconsin-Madison, and postdoctoral training at the Karolinska Institute and the University of Minnesota. Dahl served on the faculty of the University of Pittsburgh and the Pittsburgh Cancer Institute. Dahl currently serves on the Nomination Evaluation Committee for the U.S. National Medal of Technology and Innovation, the Engineering for Global Development Committee of the American Society of Mechanical Engineers (ASME), and as the chair of the executive committee of the Aspen Network of Development Entrepreneurs. Dahl also serves as chair of the Life Science Discovery Fund Board and on the Cancer Research Endowment Authority Board, both at the request of the Governor of the State of Washington. 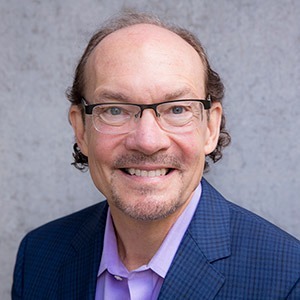 Bill Hilf serves as Vulcan’s CEO, guiding its philanthropic, research, arts and culture, community, investments, policy, and technology innovation programs, and helping fulfill Paul Allen’s vision for the future. Tapping his experience as an executive and technologist, Hilf leads Vulcan’s work to galvanize and enable smart people to tackle ambitious challenges head-on and guide its growth as it invests in its local communities, explores new frontiers in space, science, and technology, and impacts change around important issues like public health, the environment, conservation, and philanthropy. 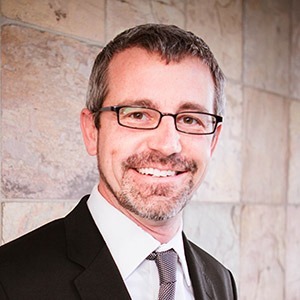 Scott Jackson is the president and CEO of Global Impact. Global Impact’s mission is to grow global philanthropy and build partnerships and resources for the world’s most vulnerable people. It has raised $1.8 billion since inception. A global development, fundraising and marketing veteran, Jackson has held leadership positions in the public, private and nonprofit sectors, including the global health and development nonprofits PATH and World Vision. He has worked in more than 60 countries, and his global relief and development efforts have taken him to remote villages in Africa and Asia, to the heart of the Holy Land, and inside some of the most powerful institutions and governments around the world. 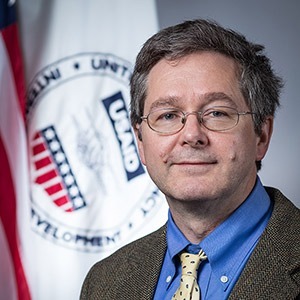 Jackson has worked with global leaders, including four U.S. presidents and their administrations, and he has represented international development issues with the offices of U.S. Secretaries of State Madeleine Albright, Colin Powell, and Hillary Clinton. Jackson was a founding nonprofit member of The ONE Campaign to “make poverty history” and has worked on initiatives with Bono and the Bill & Melinda Gates Foundation. He is a member of several national boards and advisory committees, including the Clinton Global Initiative, YourCause, Global Justice Center, International Center for Research on Women, National Development Committee of the U.S. Fund for UNICEF, Global Washington, World Trade Center Seattle, and CEO Connection’s Leadership Committee for Social Impact. He currently works closely with the leadership of more than 100 nonprofits around the world, such as Save the Children, CARE and Heifer International. Jackson is the author of Take Me with You, released in March 2017, a moving personal story written to inspire people to take action and find the “charity within” — Jackson’s personal philosophy of making a choice to live in a way that improves life for others. He was recognized by the Center for Nonprofit Advancement as a 2016 winner of the Gelman, Rosenberg and Freedman EXCEL Award, which recognizes leadership achievement in the areas of innovation, motivation, community building, ethical integrity, and strategic leadership. Jackson received an MBA from the University of Edinburgh School of International Business. He also holds an honorary Doctorate of Humane Letters from the University of Puget Sound, where he received a B.A. in history. He lives in Washington, D.C.
John Kelly is senior vice president of Global Public Affairs & Social Impact at Starbucks, where he oversees the development and execution of Starbucks’ strategies for global communication, reputation management, corporate social responsibility, community investments, and public policy. His responsibilities include media relations, integrated brand marketing and product launches, executive thought leadership, partner communications, social impact initiatives, ethical sourcing, sustainability, and government affairs for all brands across all business units and geographic regions. He is a passionate advocate for the Starbucks social impact agenda and the company’s 330,000 partners. Before he came to Starbucks in 2013, Kelly worked at Microsoft where he led global policy, regulatory, citizenship, and political initiatives over 15 years. He worked in Europe as the leader of Corporate Affairs for Europe, Middle East and Africa, driving Microsoft’s public policy and corporate responsibility strategies for that region. Prior to joining Microsoft, Kelly worked for nearly a decade in Washington, D.C. in a variety of legal and public policy roles in government. Kelly graduated from Stanford University with a B.A. in political science in 1988. He earned his law degree from the Washington College of Law in 1993 and is a member of the Washington State Bar. Kelly sits on the boards of the National Points of Light Foundation, the Nature Conservancy Business Council, and the Starbucks Foundation. Kelly lives with his wife and three children in Kirkland, Washington, and spends any free time outdoors in the North Cascades with his family. He is a competitive rower and serves on the board of the Sammamish Rowing Association. A native of Tennessee, Keny-Guyer started his career working with at-risk youth in Washington, D.C. and Atlanta. After attending business school, he moved to Thailand to aid Cambodian refugees with CARE and UNICEF. In 1982, Keny-Guyer began his tenure with Save the Children, rising to become director of Middle East, North Africa, and Europe. He designed and implemented high-impact relief and development programs in some of the most war-torn and politically sensitive regions in the world. In 1990, Keny-Guyer undertook his toughest assignment – as a stay-at-home father for his first child – while consulting for businesses, foundations, and non-profit organizations on strategy and organizational development. Keny-Guyer holds a B.A. in public policy and religion from Duke University, a Master of Public and Private Management (M.P.P.M.) from Yale University, and an honorary Doctor of Humane Letters from Portland State University. A former trustee of the Yale Corporation, Keny-Guyer remains very involved with the university, serving on the Yale President’s Council on International Affairs and the Yale School of Management Board of Advisers. Keny-Guyer is a member of the Council on Foreign Relations and of the World Economic Forum’s Global Future Council on the Humanitarian System. Keny-Guyer lives in Portland, Oregon, with his wife, Alissa, an Oregon state representative. They have three adult children. Dr. Alaa Murabit is a feminist physician and global security strategist who was once called “The Libyan Doogie Howser” by none other than Jon Stewart. Beloved by collaborators and audiences for her innovative approach to security and women’s leadership, Murabit advises numerous governments and nonprofit organizations. During Murabit’s fifth year in medical school, the Libyan Revolution broke out. 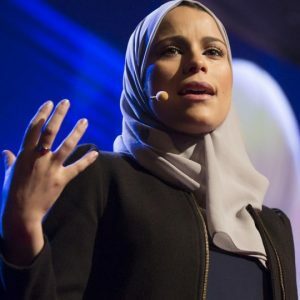 Invigorated by how women were embraced as decision-makers in the movement, at the age of 21 she founded The Voice of Libyan Women, a nonprofit organization focused on challenging societal and cultural norms to make that the case all the time. At present, Murabit is a United Nations High-Level Commissioner on Health Employment & Economic Growth, one of 17 Global Sustainable Development Goals Advocates appointed by the UN Secretary General, as well as an MIT Media Lab Directors Fellow and an Ashoka Fellow. She is also the youngest recipient of the Marisa Bellisario International Humanitarian Award by the Italian government, was named the “International Trust Women Hero 2014” by The New York Times, “One of 25 women under 25 to watch” by Newsweek, and a “100 Top Woman” by the BBC. She was most recently named a Global Deliver for Good Influencer and her efficacy at security and health policy was recognized by both Forbes and The Aspen Institute, which named her a 2017 “30 Under 30,” and an Ideas Festival Scholar, respectively. Her leadership in engaging youth, particularly young and minority women, in global decision making, and elevating the role of young women on global platforms was recognized by Harvard Law, which named her the youngest 2017 Woman Inspiring Change. Rich Stearns president of World Vision U.S., calls Christians to action on the greatest needs of our day. His award-winning, best-selling book, The Hole in Our Gospel, has encouraged hundreds of thousands of readers to open their hearts to those who are hurting in our world. Driven by his passion to raise awareness and support for poverty and justice issues, Stearns has appeared as a commentator in outlets ranging from Christianity Today, to Relevant magazine, FOX News, and Huffington Post. 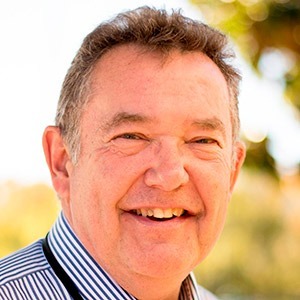 He speaks in churches regularly and in recent years has spoken at the Luasanne Conference, Willow Creek’s Global Leadership Summit, the Christian Leadership Alliance, Movement Day, Worship Together, and dozens of other conferences. The former CEO for Parker Brothers Games and Lenox, Stearns holds a B.A. from Cornell University and an MBA from the Wharton School at the University of Pennsylvania. 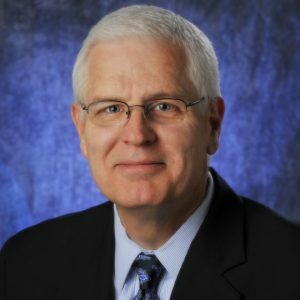 Following a calling from God, he resigned from Lenox in 1998, leaving behind more than 25 years of experience in corporate America to become World Vision’s U.S. president. 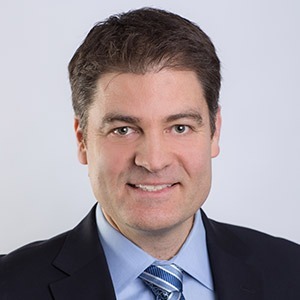 In that position he has built a strong leadership team, focused on bringing corporate best practices to the non-profit sector and inspiring a culture of outcome-focused management at all levels of the organization. Stearn ’s greatest legacy will be his leadership in calling on the Church in America to respond to some of the greatest needs of our time, most notably the HIV/AIDS pandemic and now the global refugee crisis. Stearns and his wife live in Bellevue, Washington, and have supported World Vision since 1984. They have five children of their own — plus millions more around the world. James Bernard is an internationally recognized expert on multi-stakeholder partnerships with more than 25 years of experience. He is currently the director of technology for development at SSG Advisors, a consultancy focused on partnerships in international development. In his role, Bernard advises clients on developing partnerships to apply appropriate technologies for emerging market contexts across a range of sectors. Prior to joining SSG, Bernard was senior director of Global Strategic Partnerships for the Education group at Microsoft, where he led a team that was responsible for building partnerships with publishers, education technology companies, NGOs, and multilateral organizations. Prior to that role, Bernard held positions at Microsoft working on consumer technology products and digital access programs in emerging markets. Bernard is a frequent speaker on issues related to public-private partnerships in international development and ICT4D. He serves on the board of directors of Pact, a global NGO working on health, livelihood and environmental projects in 35 countries, and is an adjunct professor at the Henry M. Jackson School of International Studies at the University of Washington. Cameron Birge is an experienced emergency logistics officer, program officer, and project manager, able to perform under high-stress situations with significant responsibilities. He has been part of successful United Nations operations, including humanitarian and development work in Somalia, South Sudan, Pakistan and Kenya. He also served in the U.S. military in Iraq and Korea. Now with Microsoft, Birge manages the company’s corporate response to sudden onset humanitarian disasters around the world. Policy Communications Manager, World Vision U.S.
Christina Bradic is a Seattle native, focused on advocacy, global health, and gender issues. 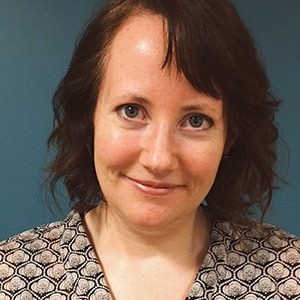 She serves as the policy communications manager at World Vision U.S., and has worked on advocacy and policy campaigns that include legislative focuses on the refugee crisis, maternal and child health, trafficking prevention, clean water, and birth registration since 2011. Related to communications, she has been a member of research teams, investigating how subsects of the public respond to messaging about foreign assistance and poverty. Bradic holds a graduate certificate in Global Health Policy from the University of Washington and an MPH from the George Washington University. Prior to discovering her love for international development, Bradic worked as a research scientist at the University of Washington School of Medicine, in the department of Neurobiology and Behavior. 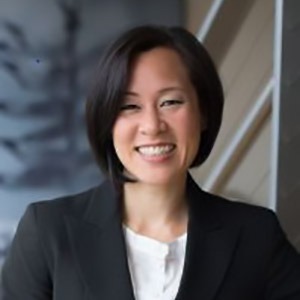 Cheng honed her skills in international business, strategic communications, and reputation management at some of the world’s most iconic brands, including Microsoft and Starbucks, as well as with the U.S. government. She also serves on the board of trustees as vice president for the Wing Luke Museum of the Asian American Experience (The Wing), and she is co-chair of the Susan G. Komen Grace Notes Gala. When not supporting the causes and organizations she deeply cares about, Cheng is fueling her passion for travel with her husband and twin five-year-old boys. 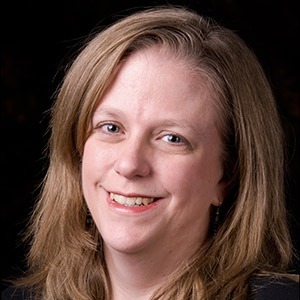 Elizabeth J. Dale is an assistant professor in Nonprofit Leadership at Seattle University and writes and teaches about fundraising, philanthropy, and donor motivations. A former development director at CFRE, her research interests include gender differences in philanthropy, giving in the LGBT community, and social justice philanthropy. She received her Ph.D. in philanthropic studies from the Indiana University Lilly Family School of Philanthropy, the first School of Philanthropy in the world, and was recently honored by the Association for Research on Nonprofit Organizations and Voluntary Action (ARNOVA) as an Emerging Scholar in 2017. Dale holds a B.A. in journalism and women’s and gender studies from Ohio Wesleyan University and an M.A. in women’s studies from The Ohio State University. 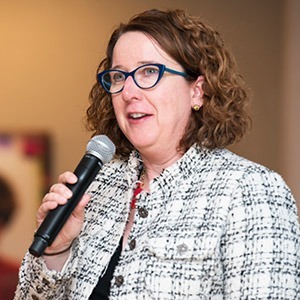 Emer Dooley serves as adjunct faculty in technology strategy, entrepreneurship, venture capital and global health at the University of Washington Foster School of Business. She works with the Buerk Center for Entrepreneurship, and the Bill & Melinda Gates Foundation, working with teams of graduate students on global health issues. Outside university work, Dooley is the executive director of the Alliance of Angels Seed Fund I. She is the vice-chair of The Ashesi University Foundation, educating the future ethical leaders of Africa, and a board member of Women’s World Banking, which works for financial inclusion for all women. A former computer designer, Dooley is passionate about early science and math education – much to the horror of her two daughters. She holds a B.S. and MEng from the University of Limerick, and an MBA and Ph.D. from the University of Washington. Adaobi Egboka is the executive programs director of Legal Defense and Assistance Project (LEDAP), a human rights NGO in Nigeria. Egboka has experience on access to justice and good governance issues, as well as NGO management, project coordination, fund raising, stakeholder management and team/capacity building. Egboka has championed several campaigns on the passage of progressive legislation in Nigeria, including the passage of the Administration of Criminal Justice Act, Special Persons’ Law and Domestic Violence Law, both of Lagos State. She is currently at the forefront of the passage of a Gender and Equal Opportunities Bill before the Lagos State House of Assembly. Egboka manages the West African Focal Point of the Coalition for an Effective African Court on Human and Peoples’ Rights. She served as an expert on Electoral Violence Mitigation at The Electoral Institute, Abuja, from February 2015 -2016. Egboka has also served as the technical assistant on Police Reform in the Rule of Law Advisory Team in the Office of the Vice President, Federal Republic of Nigeria. Egboka is a graduate of law from the University of Lagos, and a fellow of the Global Network for Public Interest Law, where she served as a visiting scholar at Columbia Law School. Lisa Ellis, Landesa’s chief operating officer, applies outstanding strategic planning, program, financial and human resources management, and a finely tuned sense of business acumen to global operations. 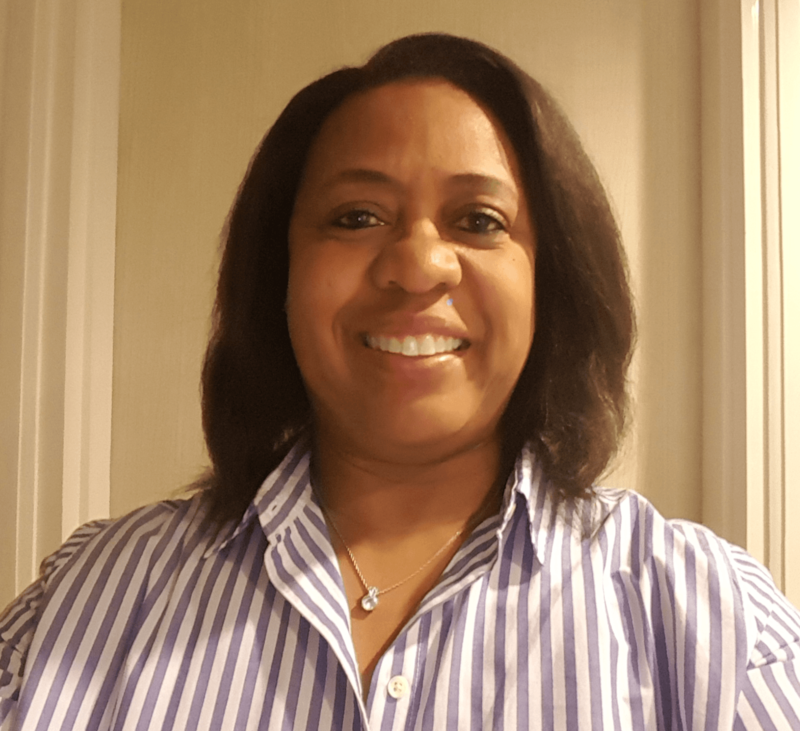 She brings more than 20 years of experience spanning three continents and 24 countries to her work managing a large and diverse staff in Landesa’s offices in the United States, India, China, Myanmar, and Tanzania. Ellis has a background in international development, operations, management, and law. She holds a J.D. from Georgetown University Law Center and a B.A. in economics from the University of California Los Angeles. Prior to joining Landesa, she worked as a country director for Peace Corps, as a regional director for Habitat for Humanity International, as chief operating officer for Equal Access, and as director of New Country Operations for Room to Read, where she helped launch new programs in Africa and Asia. 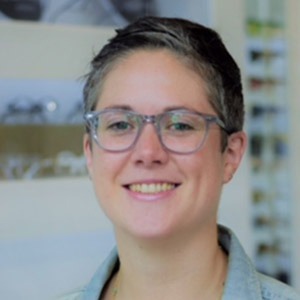 Kirsten Gagnaire leads the Global Health and Digital Development work at FSG, bringing her experience with global multi-sector organizations including large bilateral governments, private sector, United Nations, and grassroots stakeholders. As a champion for the use of technology for social impact, she brings a depth of understanding of the use of digital tools to advance programmatic effectiveness and connect with the hardest to reach populations. Prior to joining FSG, Gagnaire was the executive director of the Mobile Alliance for Maternal Action, a public-private partnership housed at the UN Foundation, focused on using mobile phones to get vital health information into the hands of women. 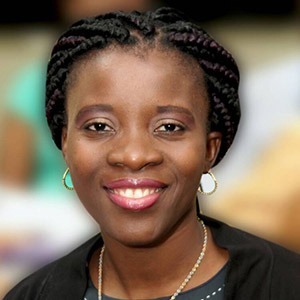 Gagnaire previously served as the Ghana country director for the Grameen Foundation and led the initial implementation of the MOTECH Platform, open source enterprise software that connects pregnant mothers and community health care workers with health-related information and automated medical data. She was also the founder of the Social Enterprise Group, a thought leader and pioneer in the social innovation and entrepreneurship space for nearly 10 years. Skye Gilbert joined PATH in 2016 as deputy director of PATH’s Digital Health Solutions team. She leads the team’s data use, private sector partnerships and strategic consulting efforts. Prior to joining PATH, Gilbert worked on health and information systems from a variety of different lenses, first as an academic researcher living in Senegal and China, then as a consultant to the private sector at the Boston Consulting Group, and finally as a program and strategy officer at the Bill & Melinda Gates Foundation. Gilbert has a Global Executive MBA from INSEAD and a bachelor’s degrees in economics, international studies, and psychology from the University of Pennsylvania. Stephanie Fuerstner Gillis joined the Raikes Foundation in early 2017 to lead the Impact-Driven Philanthropy Initiative. She came from Arabella Advisors, where she was a managing director, focused on supporting family and individual donors. 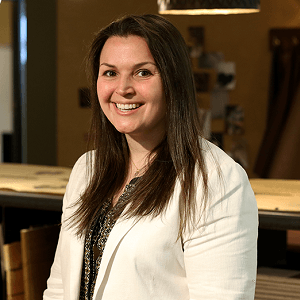 Prior to Arabella, she was with Blueprint Research + Design, Inc., as the COO and a senior consultant, working with philanthropy clients on strategy and evaluation. Previous to her consulting, Gillis worked for over 10 years in the nonprofit sector, including holding positions with the Youth Leadership Institute (a Bay Area youth development organization), the Boys & Girls Clubs of America, the Center for Youth Development and Policy Research, and the Institute for Defense and Disarmament Studies. She has served on the boards of a number of organizations, including College Kids and Food Runners, and has held various school leadership positions. Gillis has an M.A. in public policy, with a focus on youth development policy, from the Kennedy School of Government at Harvard University, and a B.A. in political science and international relations from the University of California, Santa Barbara. John K. Glenn is policy director of the U.S. Global Leadership Coalition, a coalition of senior business, military, and NGO leaders that advocates for strengthening global development and national security with Congress. He is also adjunct faculty at the Elliott School for Public Affairs at George Washington University, where he teaches the graduate seminar on transatlantic relations in the 21st century. Glenn previously served as director of foreign policy at the German Marshall Fund of the United States where he led Transatlantic Trends, an annual survey of foreign policy attitudes in the United States and Europe, and as executive director of the Council for European Studies. He has written numerous scholarly books, articles, and policy briefs on contentious politics, social movements, and democratization. Glenn holds a Ph.D. and M.A. in sociology from Harvard University and a bachelor’s degree from Oberlin College. 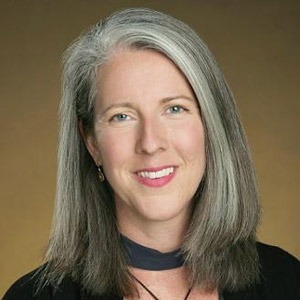 Mary Kay Gugerty is the Nancy Bell Evans Professor of Nonprofit Management and the Faculty Director of the Nancy Bell Evans Center on Nonprofits & Philanthropy at the Evans School of Public Policy & Governance, University of Washington. 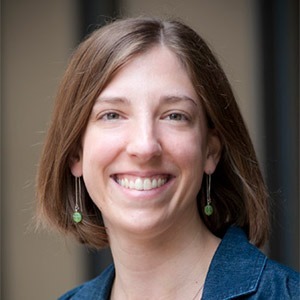 Her research examines evaluation and impact measurement in the social sector; advocacy, accountability and voluntary regulation programs among nonprofit and NGOs; and community-based organizations and rural development in sub-Saharan Africa. Gugerty’s new book, The Goldilocks Challenge: Right-Sized Evaluation and Monitoring for Social Sector Organizations is co-authored with Dean Karlan and will be available from Oxford University Press in 2018. Gugerty serves as an adjunct faculty in political science at the University of Washington, and she is a faculty affiliate at the Center for the Study of Demography and Ecology at the University of Washington, as well as at the Center for the Evaluation of Global Action at University of California, Berkeley, and at Innovations for Poverty Action. Gugerty holds a Ph.D. in political economy and government from Harvard University and a MPA from the John F. Kennedy School of Government at Harvard. She also holds a B.A. in political science and economics from Georgetown University. Teresa Guillien is a managing program director at Resource Media, where she leads work with philanthropies, nonprofits and agencies dedicated to social impact, public health and social justice. She has worked with the American Academy of Pediatrics, the Skoll Foundation, Healthier Colorado, and Sightsavers. Guillien came to Resource Media after serving in a senior communications role at PATH. She has been an independent consultant, working with foundations and global nonprofits dedicated to improving global health, empowering women and girls, and increasing access to education. She holds an MPA from the Evans School of Public Policy and Governance at the University of Washington. She serves on the board of directors of EarthCorps, on the advisory board of the Max Foundation, and teaches an annual nonprofit communications course at the University of Washington. 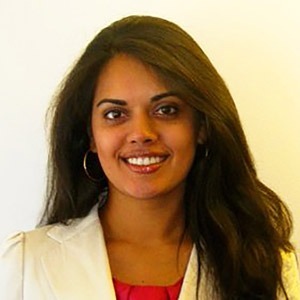 Niketa Kulkarni is a senior research and evaluation specialist at Landesa, an NGO focused on improving the security of land rights for the world’s poorest women and men across the globe. Kulkarni develops and implements mixed methods research strategies to develop robust insights about Landesa’s impact to both improve program effectiveness and enhance knowledge about the importance of women’s land rights. Kulkarni brings over ten years of experience in international development, advanced skills in field-based research and analytical methods, and a deep passion for access to justice and socio-legal issues. Kulkarni has designed, conducted, and managed extensive field research, using a combination of quantitative and qualitative research methodologies. Her current focus is on women’s land rights trends in India, but she has also implemented research throughout South Asia, Africa, South America, and Oceania. Kulkarni holds a master’s in quantitative analytical methods from Columbia University, a J.D. from the University of Michigan Law School, and a master’s in South Asian studies from the University of Michigan. 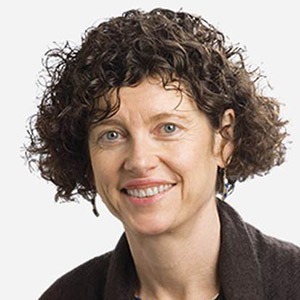 Sandra Laney is a senior advisor on the discovery and translational sciences team at the Bill & Melinda Gates Foundation. Laney focuses on sourcing solutions to address global health and development issues through innovation platforms such as the Grand Challenges program and the ‘Every Woman Every Child’ Innovation Marketplace. Laney’s prior roles include serving as the deputy director of innovation for the Paul G. Allen Ebola program during the 2015 West African Ebola crisis, as a senior advisor in the Office of the Science and Technology Advisor to the Secretary of State at the U.S. Department of State, as a neglected tropical disease research scientist at Smith College, and as a consultant for the Task Force for Global Health. Laney’s experience spans the 30 to 30,000-foot range, from field research in 13 endemic countries to laboratory science, philanthropic strategy and portfolio management, and international policy. Laney received a Ph.D. in zoology with a focus on molecular parasitology from Ain Shams University, Cairo, Egypt, and M.A. and B.A. degrees in biological sciences from Smith College. 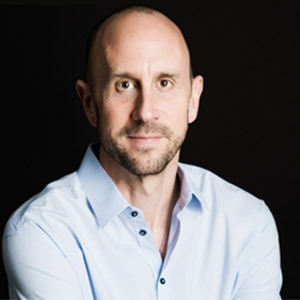 Steve Lippman, director of corporate citizenship at Microsoft, has 15 years of experience addressing environmental and corporate social responsibility issues for a broad set of companies and non-governmental organizations. 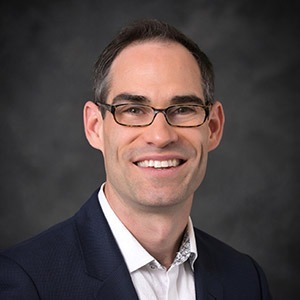 Over the past seven years at Microsoft, Lippman has worked to advance responsible business strategies on a range of topics including environmental sustainability, responsible sourcing, human rights, and transparency and disclosure. Prior to joining Microsoft, Lippman spent five years as vice president of social research and advocacy at Trillium Asset Management, a pioneer in socially-responsible investing. Previously, Lippman spent four years in the environment program at Business for Social Responsibility, a global business membership organization that helps companies implement socially-responsible business practices. Lippman earned his B.A. degree from Stanford University and an M.S. in natural resource and environmental policy from the University of Michigan School of Natural Resources and Environment. 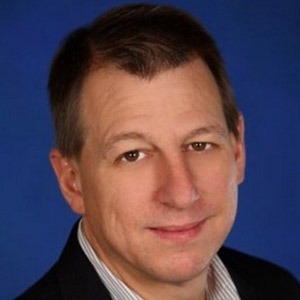 Before joining Microsoft in 2004, Lynch led the privacy and risk solutions business at software maker, Watchfire (now part of IBM). Prior to entering the software industry, Lynch spent nine years in Europe and North America with PricewaterhouseCoopers, where he provided privacy and risk management consulting services. Lynch recently served as chairman of the board of directors of the International Association of Privacy Professionals, the world’s largest association of privacy professionals globally. Lynch is a certified information privacy professional, and holds a business degree from the University of Waikato, in his home country of New Zealand. 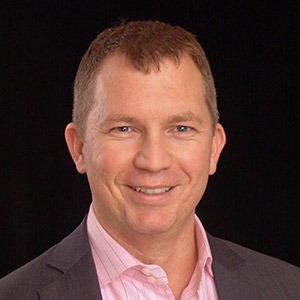 Clinton Moloney is the sustainability advisory leader for PwC in the United States and a managing director in the firm. Moloney has advised CEOs, boards, leadership teams and elected officials on sustainability with a particular focus on strategic transformation, innovation, leadership, and culture change. Moloney’s client work focuses on healthcare, foundations, non-profit, and government sectors, but he has deep roots in consumer focused companies. Moloney is currently leading a team with the city of San Jose to create a low carbon economy plan that delivers on San Jose’s commitment to uphold the Paris Agreement. Through the World Business Council on Sustainable Development, Moloney is partnering with more than a dozen global companies to reframe sustainable lifestyles and to bring to market the innovations needed to allow the emerging global middle class to live well, but within the planet’s boundaries. Moloney serves as the national board secretary of Friends of the Children, based in Portland, OR, and serves on the board of Point Blue Conservation Science in Petaluma, CA. 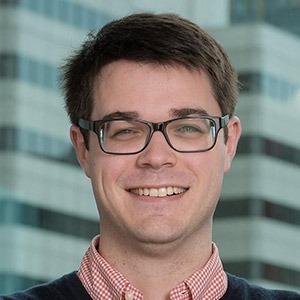 Neal Myrick is director of social impact at Tableau, where he leads the company’s efforts in employee service and giving, community impact, and grant making. Within his role, he leads Tableau Foundation with a mission to encourage the use of facts and analytical reasoning to solve world problems. Prior to Tableau, Myrick worked for two pioneering technology companies, Aldus Corp. (acquired by Adobe) and Visio Corp. (acquired by Microsoft), where he ran global IT and facilities. 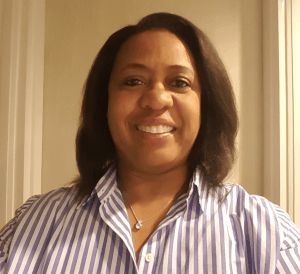 After a mid-career break working as a barista and living in Central America, Myrick became managing director of technology at Casey Family Programs, a national foundation focused on foster care. He left Casey to become executive director of a technology nonprofit and CEO of a related for-profit consulting firm that helped environmental organizations increase their capacity to engage constituents. Myrick joined Tableau as a program director, focused on launching customer-facing programs for the company. He then moved from that role into his current role as social impact director. Myrick is an active angel investor and has served as a volunteer, nonprofit board member, and philanthropist. He is a member of the governing board for Digital Square, a USAID-catalyzed center of gravity for digital health development, bringing private sector technology companies, national and international governments, and NGOs together in scaling successful digital health innovations. David Pigott, D.Phil, is assistant professor at the Institute for Health Metrics and Evaluation (IHME) at the University of Washington. He is a faculty member in the geospatial team, focusing on improving the spatial resolution at which disease burden and metrics are considered, expanding and refining existing techniques to a wider number of pathogens and sequelae. He also leads work defining at-risk areas for a number of pathogens with pandemic potential and quantifying heterogeneities in global response capacity. Pigott studied at the University of Oxford, UK, first for an undergraduate degree in biological sciences, then a DPhil, investigating the spatial epidemiology of a variety of pathogens, including the leishmaniases and a number of zoonotic hemorrhagic fevers. 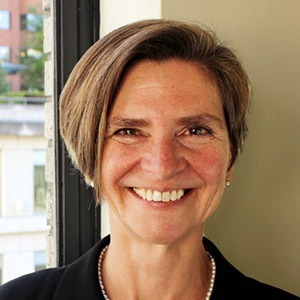 Alison Powell joined Bridgespan in 2006 and is currently senior director for philanthropy. 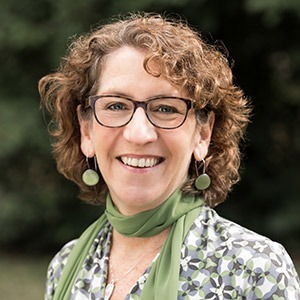 In that role she leads and advises on projects for philanthropy clients, and manages much of Bridgespan’s philanthropy research, including its multi-year initiative focused on Big Bets for Social Change. 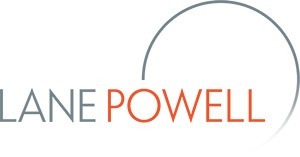 During the last seven years, Powell has led a number of projects with influential philanthropies, supporting their strategies and strategic implementation. 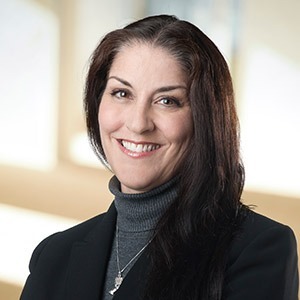 Prior to focusing on philanthropy, she spent four years in Bridgespan’s strategy consulting practice working with direct-service clients, including a charter management organization and an organization focused on transitional support for people aging out of foster care. Before joining Bridgespan, Powell worked for Mattel to ideate, develop, and launch toy product lines. She started her career at The Parthenon Group, a management consultancy, where she worked on a host of strategic engagements, from motorcycle manufacturing to publishing. Powell has an AB degree in politics from Princeton University and received her MBA from Berkeley’s Haas School of Business. Powell writes and speaks on philanthropic issues, including co-authoring Making Big Bets for Social Change, What Ambitious Philanthropists Can Learn From The Atlantic Philanthropies’ Experience Making Big Bets, and Philanthropy in the New Age of Government Austerity. Sara Rogge is deputy director and advisor to the director of the Bill & Melinda Gates Foundation’s global policy & advocacy division. In this role she works with the program advocacy and communications team, which leads the foundation’s policy, advocacy and communications work on its global priorities. Prior to joining the foundation, Rogge was vice president at williamsworks, a strategic advocacy consulting firm. 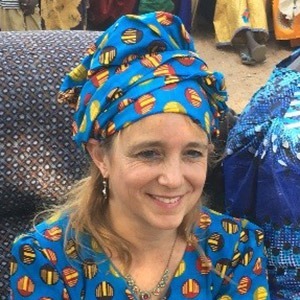 Rogge has also spent a significant portion of her career working in both policy and advocacy in Washington, D.C. As deputy policy director for ONE (formerly Debt AIDS Trade Africa – DATA), she managed the organization’s portfolio on trade, agriculture and economic development policy. 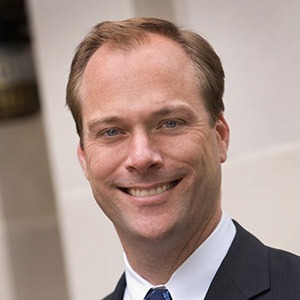 Prior to joining ONE, Rogge was director for market access in the Office of Industry, Market Access, and Telecommunications at the Office of the United States Trade Representative (USTR). In this position, Rogge was part of the market access team for negotiations with Russia, Morocco, Vietnam and the Southern African Customs Union. She also developed U.S. government policy positions in the WTO industrial goods negotiations in the Doha Development Agenda. Rogge has an M.A. in international economics and African studies from the Johns Hopkins School of Advanced International Studies (SAIS) and a B.A. from Valparaiso University. Frank Schott joined NetHope in 2005, and served as managing director of global programs for 11 years. In 2016, he took on the role of vice president of global programs, where he oversees field programs. 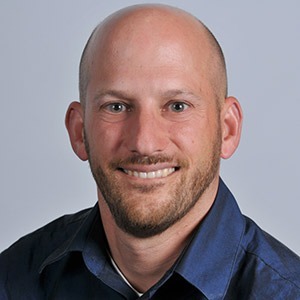 During his time with NetHope, Schott has worked closely with member agencies, corporate partners and NetHope staff to design, develop and deliver ICT-related programs, which are shared by the humanitarian sector. Prior to joining NetHope, Schott worked with public and private sector clients, developing programs and solutions around the use of technology in the developing world. His client list includes UNHCR (the UN Refugee Agency), the University of Washington, Naguru Teenage Medical Centre, and Microsoft. Frank has also spent hands-on time in the developing world, including in Africa, Southeast Asia, Central America, and Eastern Europe. Kate Spelman has more than 30 years of experience providing strategic advice, design and implementation counsel for large, mid-sized, and startup companies on copyright, trademark, trade secret, and patent matters, both nationally and internationally, and she has a special focus on media, licensing, and mass digitization issues. Spelman advises and counsels clients on the development, production, sale, and defense of work related to emerging content distribution strategies and challenges, special issues in news reporting including repurposing content, and firewall and paywall configuration in light of changes in the fair use defense. Spelman is a frequent speaker on the progress of emerging copyright and digital publishing issues, and has advised authors, nonprofit and for-profit publishers, and internet service providers on the new language and provisions of the changed, global distribution environment. She is also a member of the advisory group for the American Law Institute’s Restatement of the Law of Copyright project. Additionally, Spelman has experience assisting clients with Open Source licensing issues, including Open Source integrated licenses, audits, mergers and acquisitions due diligence, and compliance negotiations. Spelman also helps clients design independent holding companies in the U.S. and in offshore intellectual property asset management. 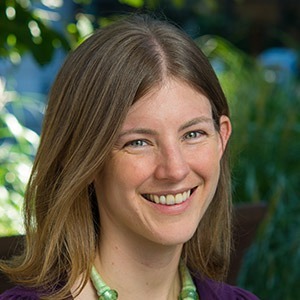 Erin Stuckey, PhD, is a program officer with the malaria team at the Bill & Melinda Gates Foundation, supporting efforts to eradicate malaria. She manages a portfolio of investments in applied epidemiology and modeling, and is the Eliminate Initiative focal point for the Mesoamerica/Hispaniola region. Stuckey was previously a Gates Global Health Fellow, where she led development of the malaria team’s investment strategy for surveillance in elimination settings. Stuckey is a Foreign Policy Interrupted Fellow and has over 12 years of experience in the global health field. Before joining the foundation, she conducted her doctoral research at the Swiss Tropical and Public Health Institute in Basel, Switzerland on applying mathematical modeling to support decision-making for operations in malaria control and elimination in Kenya and Zambia. Prior to moving into academia, Stuckey worked in various roles with Population Services International in Washington, D.C., supporting programs in the Southern Africa region, and based for several years in Juba, South Sudan. Stuckey holds a Ph.D. in epidemiology from the Swiss Tropical and Public Health Institute, an MSc in control of infectious diseases from the London School of Hygiene and Tropical Medicine, and a B.A. in comparative literature and international studies from Washington University. 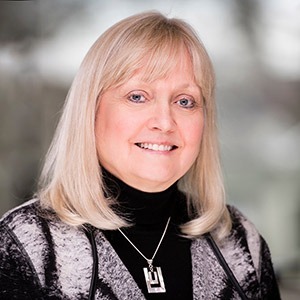 Dr. Linda Venczel is the director of the Global Health Security Project and senior technical advisor at PATH, working on immunization and advocacy and communications, as well as being the focal point for Gavi work with countries. She also serves as a technical expert for working groups on polio eradication and Zika virus response. Prior to joining PATH in 2014, she served as senior program officer for seven years at the Bill & Melinda Gates Foundation, where she focused on expanding programs in new vaccine introduction, designing operational research to improve coverage in hard to reach populations, and served as the focal point for polio eradication. Venczel managed a portfolio of over $700 million and over 20 grants over a six year period. Before that, Venczel was deputy director of CDC’s Polio Eradication Branch and trained in epidemiology in CDC’s Epidemic Intelligence Service. She also worked as the regional advisor for immunization activities at PAHO, focusing on new-vaccine introduction, measles elimination, and the outbreak investigations of vaccine-derived poliovirus in Haiti and the Dominican Republic. She also served as the regional advisor in Bolivia. An epidemiologist and a microbiologist, Venczel received her Ph.D. and MSPH from the University of North Carolina. Alicia Vermaele is a senior manager on the Starbucks Global Social Impact team. 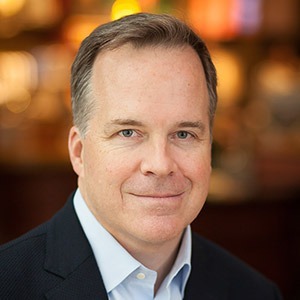 Vermaele leads Starbucks’ commitment to hire 10,000 refugees globally by 2022 and works closely with markets outside of the U.S. on strategy and implementation of locally-relevant Social Impact initiatives. In addition, her team also oversees operations for the Starbucks Foundation, as well as the company’s global charitable giving. 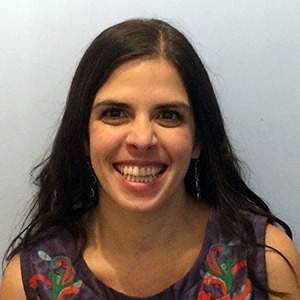 Prior to relocating to Seattle, Vermaele was a deputy director at the Clinton Global Initiative (CGI), where she planned and implemented CGI Latin America and CGI Middle East & Africa, convenings that engaged leaders from the private, public, and civil society sectors to make social impact commitments. She holds a master’s degree from Columbia University and lives in West Seattle with her husband Dan and their daughter Chloe. Carol Wylie joined World Vision in 2007 as the director of Product Movement with the Global GIK Operations team. 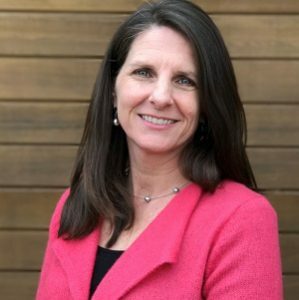 She has held additional positions in World Vision, and in 2014 accepted the role as vice president of Corporate Engagement for World Vision U.S.
Wylie’s career prior to World Vision included operational leadership roles at PACCAR, following her six-year career in Air Defense & Logistics units of the U.S. Army. 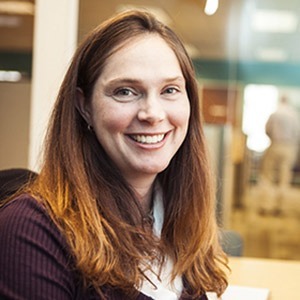 In addition to her extensive work in improving the efficiency and effectiveness of operations, project management, and leading teams, she holds a B.S. in business administration from University in Kansas and an M.S. from Chapman University in Human Resource Management. Wylie sits on the boards of the Kids in Need Foundation and the University of Washington Supply Chain, Logistics and Transportation Program. 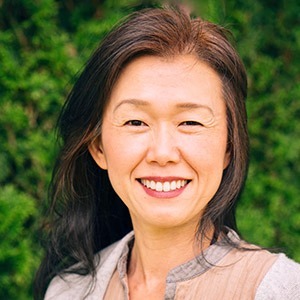 Izumi Yamamoto is a leadership trainer, facilitator, and certified coach who has worked with emerging and established leaders for nearly 20 years. As one of the founding members of iLEAP, she has helped shape the iLEAP experience, working closely with social justice leaders and entrepreneurs from diverse cultural backgrounds, and served in many roles at iLEAP since 2008. As director of learning at iLEAP, Yamamoto leads the design of all learning activities. She integrates inner and outer leadership practices, elements of personal development, social change, creativity, and matters of the soul. Born in Japan, she has lived and worked on four continents. She has been a long-time meditator and has guided leaders in designing and integrating their own practices for resilience. Previously, she worked in the field of international public health in India as the director of training programs for HIV/AIDS care and support. In addition to her roles at iLEAP, she is also a trainer at the Rockwood Leadership Institute in California. She holds the certified professional co-active coach designation from the Coaches Training Institute, and a master’s degree in international environmental policy from the Monterey Institute of International Studies. She lives in Seattle with her husband, Britt and her son, Kaia. David Yunger is a former educator and Fulbright scholar, as well as an entrepreneur and business leader with a passion for transforming lives through learning at scale. 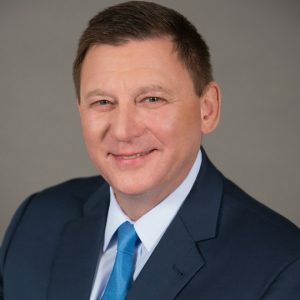 He serves as executive sponsor of Pearson’s Microsoft alliance, creating job skills for millions of learners annually via 18,000 channel partners in 180 countries. Yunger’s expertise stems from launching startups to opening up new markets for $80 billion corporations. In addition to his work at Pearson, he is the founder of GreenBridge, where he launched the world’s first $100 enterprise-class PC. Yunger has served as a consultant to the Fortune 500, most notably with Microsoft’s Worldwide Public Sector organization, having brokered policy dialogues and architected solutions with governments across Africa, Asia, and the Americas. Yunger has spoken at conferences at the request of USAID, Inter-American Development Bank, the Bill & Melinda Gates Foundation, World Vision, and many IT firms.